I reviewed The Essential Kelson (Review 10) and mentioned Mr. Kelson there. 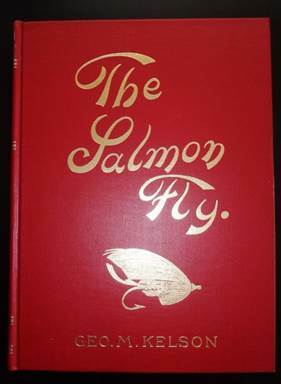 This time, I acquired the copy of his book, The Salmon Fly. I'd love to review and discuss this prominent individual again!! The Essential Kelson focuses on fly-tying recipes and chapters from this book. Yet we can tell how confident Mr. Kelson was with his craft. Then I commented "Mr. Kelson was said to be an arrogant and immodest person. But I would imagine he was solely intense and extra enthusiastic on the subject: tying better and more effective flies to catch the elusive Atlantic Salmon." It's kind of backward but I finally acquired The Salmon Fly. By reading his own book from the PREFACE, what I felt was validated. 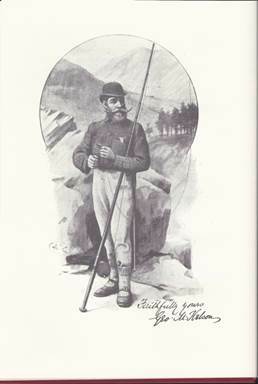 First and foremost he was the formidable and a die-hard angler. He knew and had a great understanding of salmon. Yes, it was Mr. Kelson who systemized the dressing recipes and methods. Perhaps that would be what he's known for among the majority of modern salmon fly enthusiasts, but I don't think I'm entirely wrong to guess that to him it was just a part of salmon fishing: produce effective flies efficiently. That is my view because this entire book is a fishing book and fly-dressing is only a part of it – that being said, it's the major part, occupying almost all half of the book……. It's a prominent book indeed. So many important subjects are discussed through the entire book: mindset as an angler, fly dressing and choice, gears (rod, line, "winch", etc. ), casting and so on. Each of his terms can be pronounced and significant. 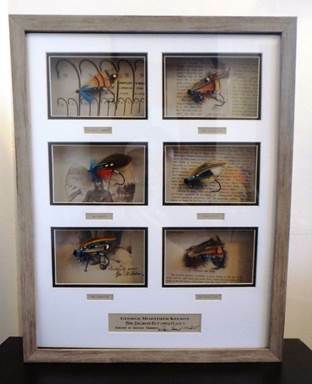 "System" can be applied not only to fly-fishing for trout but also to any type of fishing, even sports. When I read this book I could really feel that I was listening to Mr. Kelson giving dogmatic lectures to his fellow anglers at one of his favorite fishing huts. What I acquired is 1979 Edition, with a foreword by Poul Jorgensen (The Angler's and Shooter's Press, ISBN: O-89032-239-2). Besides digital copies at online libraries, there seems to be several editions/versions or reproductions on the market; hardcover, paperback, different front covers and so on. I believe the contents would be just the same. One can choose whichever suits one's need and budget. Last but not the least, here is my homage to Mr. Kelson (completed in November 2015).